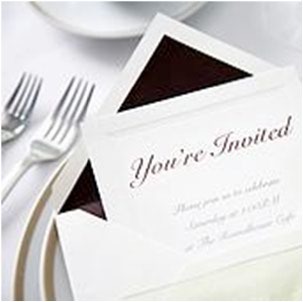 Enjoy the Ad-Free and SPAM-Free online invitations that you can fully custom design to match your occasion. Simply complete the page and click SEND when ready. Guest list is visible to all my guests. Notify me on my guest's response. 3. Import using a spreadsheet file. Step #5. Complete Your Info and Send. Please enter your events.org account info or setup a new account. You will receive an account activation email to set your password.